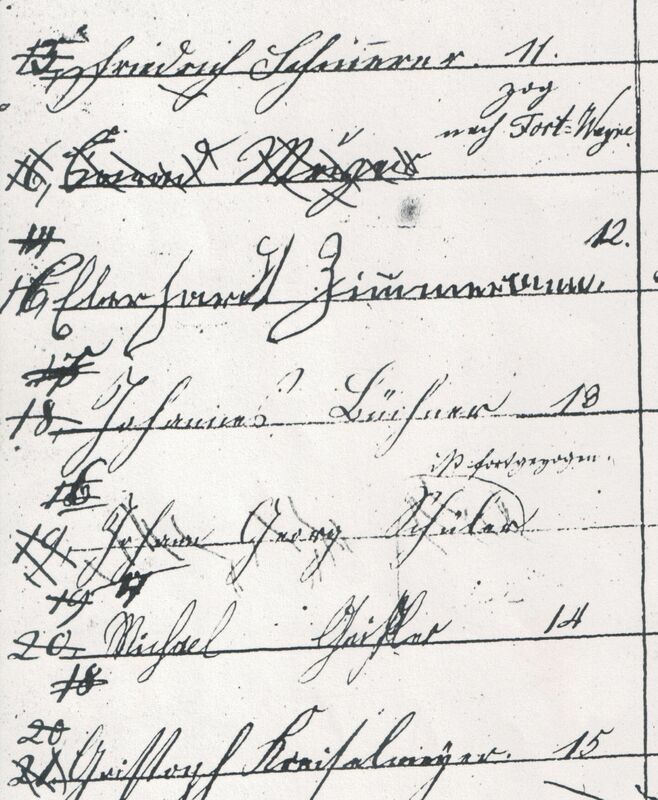 Have you ever wondered what your ancestor’s signature looked like? 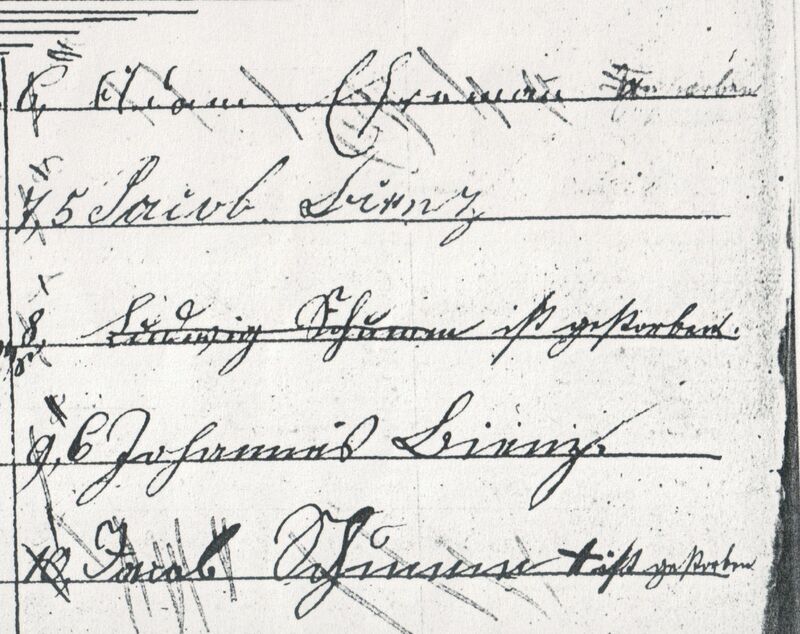 If you have an ancestor from the Schumm, Ohio, area, their signature may be written below. 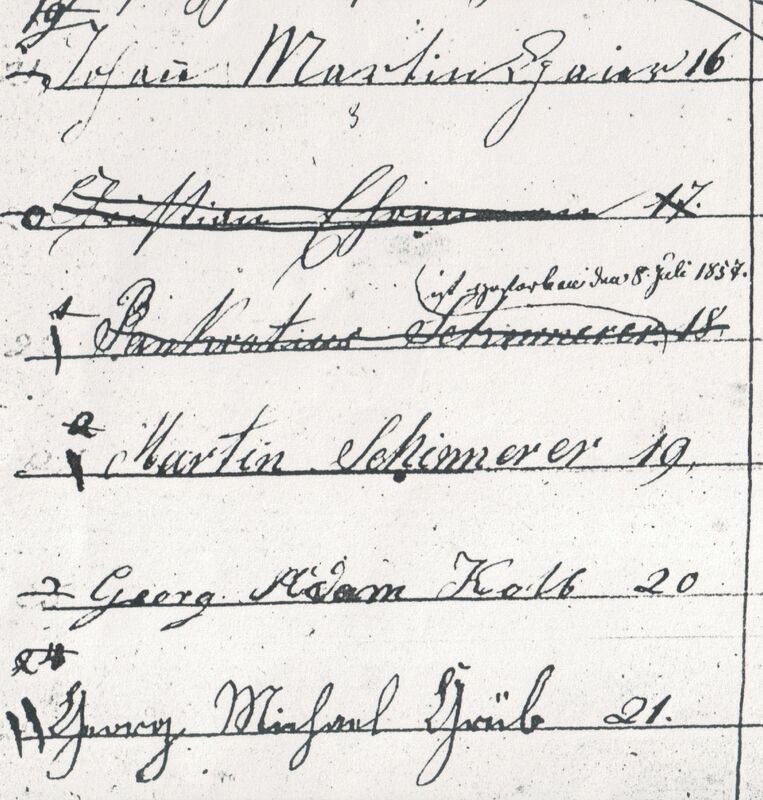 Below is a list of names from the old record book of Zion Lutheran Church, Schumm, that dates back to 1849. 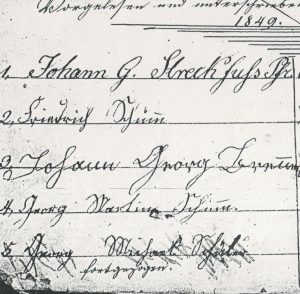 Johann G. Streckfuss was Zion’s pastor and their records were written in German, using the old Gothic script handwriting. 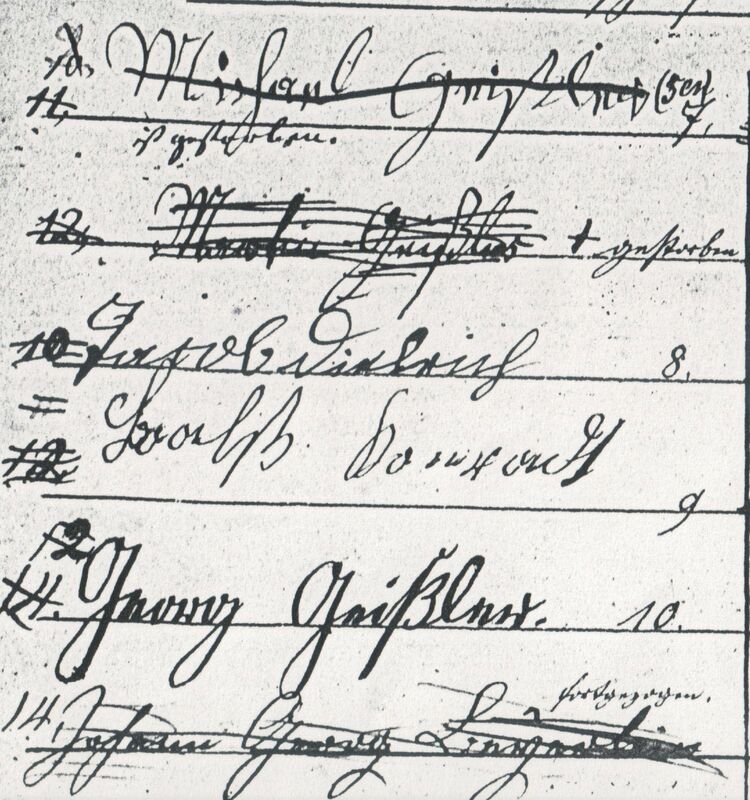 Although I do a fair job at reading the German names I really don’t know the German language and cannot read the rest of the document. 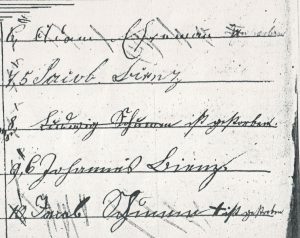 These pages appear to be Zion Schumm’s 1849 membership list, following what appears to be Zion’s first church constitution. I believe these are the actual signatures of the men, not just a list that one person wrote. 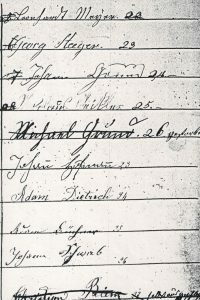 All the signatures are different, indicating many individuals signed their names to the list. In some instances a death date or some other notation is written by a name. Gestorben or ist gestorben means that the person had died. The † symbol also indicates the person had died. 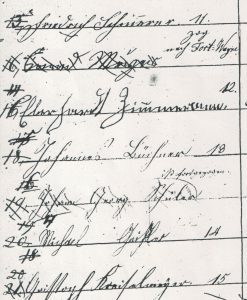 The numbering of the names is a little difficult to follow because someone tried to keep this list of names updated. When a member died someone crossed out their name and number and then renumbered the list. 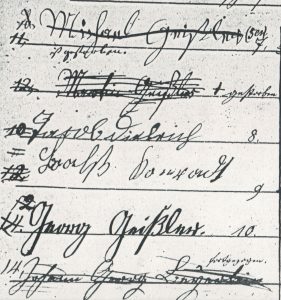 Later they tried to renumber the list by writing a new number to the right of some of the names. In the transcription below I numbered them as the numbers were first started, but I did not cross out numbers. I did add the numbers that were inserted to the right of the names. I did pretty good. There were only two surnames that I could not read. 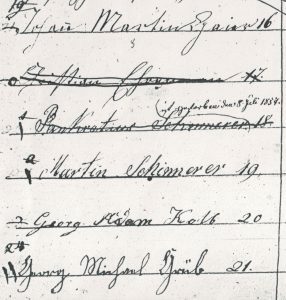 Signatures of members of Zion Lutheran Church, Schumm, 1849. Michael Geissler Sen. (ist gestorben) 7. Baals Konradt [Konradt Baals] 9. Pankratius Schinnerer (ist gestorben den 8 Jul 1857) 18. I have a couple direct ancestors on this list and many other distant relatives. 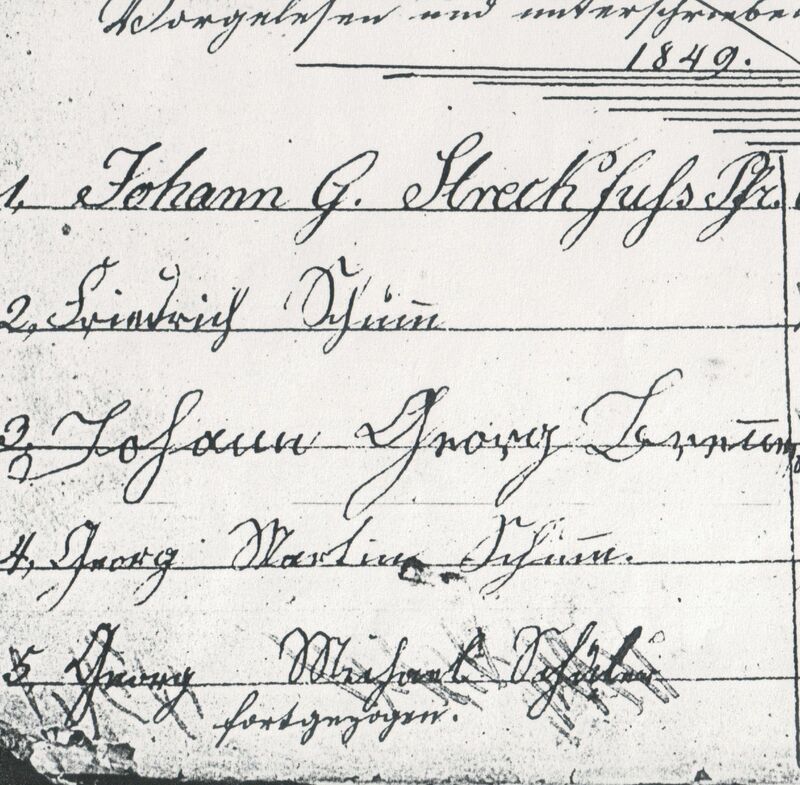 My direct ancestors are Friedrich Schinnerer and Ludwig Schumm. 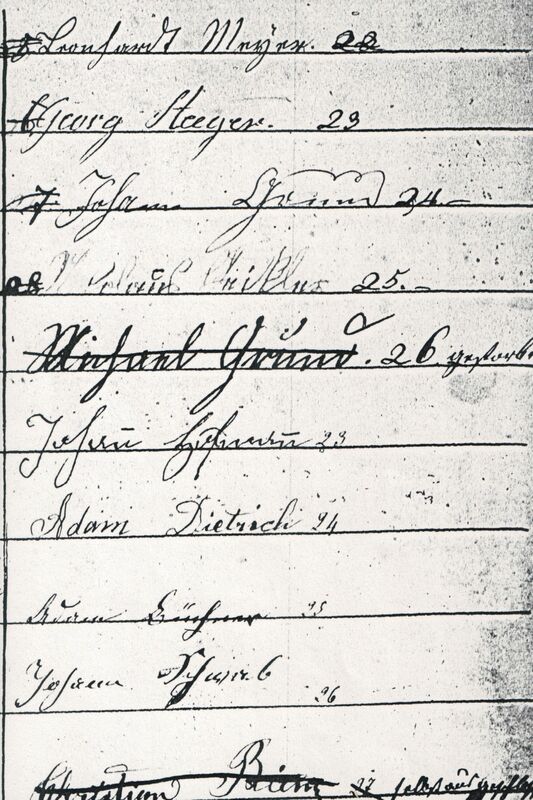 Unfortunately, John George Schumm, the father who immigrated with his five children in 1833, died in 1846. His signature is not on this list.